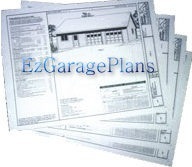 OUR GARAGE PLANS are accurate, complete and offer the highest drafting standards for the clarity of information. They feature the following. Sheet one is the cover with the design illustration, materials list and design data (code refrences etc) #2 Floor plans showing walls openings, dimensions and symbols for electrical lighting, switching and outlet locations #3 The 4 exterior elevation views (true elevations) #4 Exterior wall framing only elevations (sometimes included with the regular elevations with framing shown as dashed lines) #5 Roof edge details for soffits, eaves and gable ends as applicable #6 Perimeter Foundation and slab plan showing openings and dimensions #7 Concrete foundation details and alternates #8 Cross sections and longitudinal if applicable #9 Structure notes and specifications #10 Typical and other wall sections #11 Roof framing or truss layout plan # 12 Second - floor framing plan if required #13 Stairway profile and details if applicable Build a Garage, the best thing you can do for the equity of your home. 16 x 34 34 x 16 16x34 one car garage 1 car garage one car extra depth deep double deep storage garage shop workshop garage 9' high walls country style traditional rural attic steep roof. 14 x 34 34 x 14 14x34 one car garage 1 car one car garage with shop storage extra deep extra depth hipped roof hip roof hip roof 9' wall. 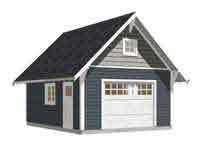 14 x 34 34 x 14 14x34 one car garage 1 car one car garage with shop storage extra deep extra depth 9' wall steep roof attic. 16 x 24 24 x 16 16x24 one car garage 1 car garage attic traditional steep roof. 16 x 24 24 x 16 16x24 one car garage onecar 1 car garage craftsman brackets attic. 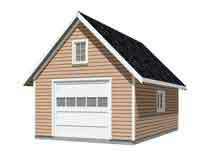 Buy a Garage Plan NOW. 18 x 24 24 x 18 18x24 one car garage 1 car one car attic large attic colonial shutters dormer dormers Williamsburg historical. 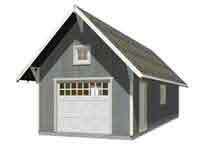 18 x 24 24 x 18 18x24 one car garage oversized 1 car garage one car contemporary extra space workbench storage garage. 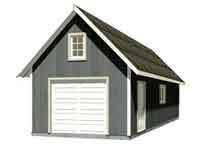 14 x 34 34 x 14 14x34 one car garage 1 car one car garage with shop storage extra deep extra depth 9' wall. 16 x 34 34 x 16 16x34 one car garage 1 car garage one car extra depth deep double deep storage garage shop workshop garage 9' high walls. 14 x 34 34 x 14 14x34 one car garage 1 car one car garage with shop storage extra deep extra depth 9' wall overhang craftsman style brackets attic. to meet International Builders Code Standards. 16 x 34 34 x 16 16x34 one car garage 1 car garage one car extra depth deep double deep storage garage shop workshop garage 9' high walls hipped roof hip roof hip roof. 36 x 28 and 36 x 28 garage with apartment, unit , 2-car garage, oversized. 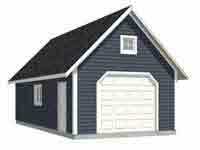 40 x 20 20 x 40 Garage with workshop garage garage shop plans 9' wall. 24 x 48 48 x 24 two car garage shop space workshop oversized garage gable roof IRC. 24 x 32 32 x 24 garage with loft plans loft garage second story garage 2 car garage two car garage inside stairs. 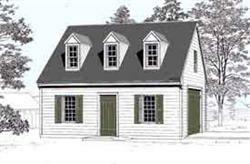 28 x 28 two car garage with loft 2 car bay truck garage suv size inside stairs gambrel colonial style. 28 x 32 two car garage with loft 2 car garage inside stairs I joist floor truck size suv size 9 x 8 garage doors. 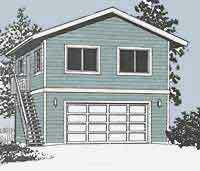 28 x 32 32 x 28 garage with loft plans loft garage second story garage shed dormer traditional garage two car garage 2 car garage inside stairs garage apartment garage i joist floor suv size truck garage 2 bays. 28 x 30 garage with loft plans second story garage dormers traditional garage two car garage inside stairs garage suv size truck garage 2 bays gambrel barn colonial style. 28 x 46 46 x 28 garage with loft plans loft garage second story garage dormers traditional garage three car garage 3 car garage inside stairs garage apartment. 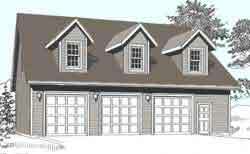 28 x 46 46 x 28 garage with loft plans loft garage second story garage dormers traditional garage three car garage 3 car garage inside stairs garage apartment garage i joist floor SUV size truck garage 3 bays apartment above. 39 x 25 25 x 39 two car garage two car 2 car 9' high wall 9 x 8 garage doors 8 x 9 attic truss attic storage roof third bay shop space rear back side entry. Oversized three car 3 car three car garage 9 x 8 8 x 9 shop space storage area workbench 10' wall. 36 x 28 28 x 36 oversized three car garage 3 car garage plans 10' wall, high wall garage double garage door garage shop workshop garage shop. 38 x 30 30 x 38 garage with loft plans loft garage second story garage monitor garage three car garage 3 car garage inside stairs garage SUV size truck garage 3 bays. three car garage 3 car garage three car craftsman style decorative dormer brackets overhangs. 28 x 46 46 x 28 garage with loft plans loft garage second story garage dormers traditional garage three car garage 3 car garage inside stairs garage apartment garage conventional framed frame construction floor SUV size truck garage 3 bays apartment above. 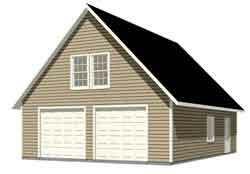 28 x 46 46 x 28 garage with loft plans loft garage second story garage shed dormer traditional garage three car garage 3 car garage inside stairs garage apartment garage i joist floor SUV size truck garage 3 bays apartment above. 36 x 24 24 x 36 three car garage 3 car garage three car standard 8 x 7 garage doors 7 x 8. 39 x 25 25 x 39 three car garage three car 3 car 9' high wall 9 x 8 garage doors 8 x 9 attic truss attic storage roof. 39 x 25 25 x 39 three car garage three car 3 car 9' high wall 9 x 8 garage doors 8 x 9 attic truss attic storage roof outside stairs colonial dormers Williamsburg. 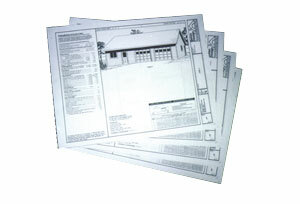 PDF downloads available for many of our popular plansets. Have the complete planset with materials list right now, viewable on your computer. Converted directly from the original drawing files. Take or send the file to a blueprinting service or printing business such as Fedex/Kinko's (aka Fedex Office) to print out the number of plansets you require. They would produce the same paper documents that we provide to our customers.